Every one of our doughs, glazes and fillings are all natural, made from scratch, free of trans-fat, and made by people, not by machines. We use organic flour and high quality ingredients like Callebaut chocolate, fresh seasonal fruit, and pure vanilla. We offer a variety of options for vegans and folks with sensitivities to gluten, eggs, or dairy. You will never find industrial pre-fab mixes or buckets of artificial goop in our kitchen. Our doughs, glazes AND fillings are all natural, trans-fat FREE, AND made by people, noT machines. We use all real ingredients, organic flour, REAL chocolate, seasonal fruitS AND VEGETABLES, and pure vanilla. We offer a variety of options for our vegan friends and THOSE sensitive to gluten, eggs, or dairy. Looking for the perfect gift for the doughnut lover in your life? Click here to get them an RD e-gift card. We opened our doors on National Doughnut Day, June 1, 2012!. We started a doughnut revolution in the south - returning to a time when doughnuts were simple and tasty - made from scratch with real food ingredients - without all the pre-fab mixes, funky oils, preservatives, fillers, or stabilizers that the big doughnut chains use. The “Revolution” in our name refers to our dedication to hand-crafted food - to food made by people and not machines. we make all our of our doughs, glazes and fillings from scratch and use real ingredients in our recipes: organic flour, local dairy, fresh fruit, natural flavor extracts, and 100% trans-fat free vegetable oil. Our goal is to revitalize the American doughnut - to help restore it to its former glory as a simple, tasty, hand-crafted treat. Our founder, Maria Moore Riggs, fell in love with farm-to-table comfort food while working in the kitchen of a California resort known for its family-style meals made with ingredients sourced from its farm and organic garden. This experience ignited her passion for sharing delicious, high-quality food and she has been baking ever since. We began as a small family-owned baking endeavor known as The Little Red Hen Bakeshop. After gaining exponential popularity with our doughnuts at local farmer markets, we opened our first shop in Decatur, Georgia on National Doughnut Day 2012. 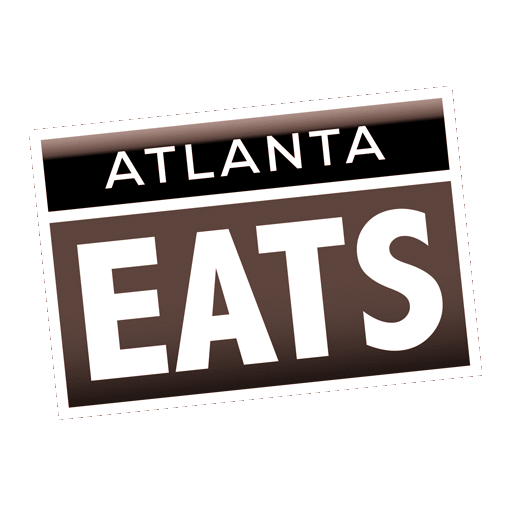 After receiving numerous accolades, mentions on national TV, and with lines wrapping around the block every weekend, we opened our second shop down the road in the Atlanta neighborhood of Inman Park in 2017. "Revolution hangs its hat on having fresh, handmade donuts, and their Nutella Cream Puff is in a class of its own…"
"[Their] dedication to churning out fresh, handmade doughnuts has turned Revolution into an Atlanta favorite..."
"Whether you’re ready for it or not, the Revolution is here, and there’s nothing you can do about it." "Revolution Doughnuts is changing the world, one doughnut at a time." "Get the peach slider: A sugar-coated doughnut filled with fresh, juicy peaches. This is Georgia, after all." 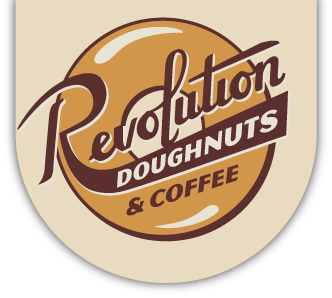 "If you’re ever...curious what the crazy-long line snaking out onto the street is for, it’s probably Revolution Doughnuts." "After one bite, you will agree that it is not just a catchy name; these doughnuts truly are something revolutionary." "It’s a funny thing- if you live in Atlanta and mention Revolution Doughnuts among friends, there is always at least a couple people who start salivating on the spot..."
"... a shop that's all about delicious doughy spheres in flavors like vanilla bean, blueberry, brown sugar, and salted caramel topped w/ bits o' charcuterie bacon." "Revolution Doughnuts will overthrow any notions you have of what you can top or fill a donut with." "One of the 23 hottest doughnut shops in America right now." Apr-May A classic carrot cake-style fried doughnut topped with a ginger glaze, lightly toasted walnuts, and freshly chopped carrot. Apr only An old fashioned cornmeal doughnut topped with a honey and thyme glaze. Apr-May A yeast round rolled in sugar, sliced open and stuffed with jam and fresh strawberries. A selection of each of our Tier One classics. A wide variety from Tiers One, Two, & Three. An organic, shade-grown blend made for us by Cafe Campesino in Americus, GA.
Our signature chai infused with rose and cardamom. A delicious brew of peach and Ceylon black tea. A refreshing, caffeine-free blend of black cherry herbal tea and pomegranate juice. Giant-sized doughnut cake; use any of our glazes or toppings. Almond flour option available. Tiny cake-style doughnuts; use any of our glazes or toppings; 1 glaze per doz. Almond flour option available. Includes cups/lids, assorted sweeteners, half & half (almond milk upon request). Daily offerings are subject to change while supplies last and might differ from our menu. Please call the shop directly for more info. For a printable menu, click here. All of our syrups and drinks are made in-house to our own recipes. We serve local, organic, shade grown and fair trade coffee roasted by Cafe Campesino Coffee, as well as a rotating selection from regional roaster Counter Culture Coffee. Baked cake made with almond flour (trace amounts of grain/gluten possible due to shared facility). We offer Chocolate Hazelnut daily, but with a pre-order placed at least 24 hours in advance, it can be made with any of our standard glazes.